The texture of biko, being sticky and tough to mix, is also symbolic of how the Filipino people rallied together and stayed resilient in the face of danger and adversary, to fight for freedom and what they believed in. 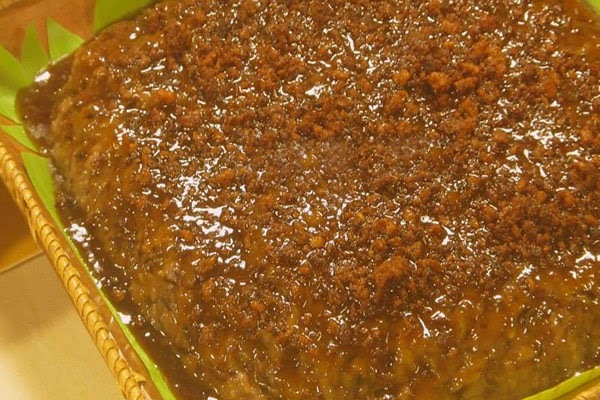 The color of of Biko symbolizes the Filipinos as a race, and the sweet taste of the dish also reflects the endearing traits of Filipinos. 1. Combine the glutinous rice, black rice, water, panutsa, pandan, ginger, coconut milk and salt in a large non-stick pot. 2. Turn on medium heat and stir the mixture continually until the liquid is absorbed and the rice is soft and fully cooked. Remove pandan and ginger. 3. Transfer the rice mixture to a flat rectangular baking dish. Flatten and smooth the top.